Kaplan Medical Center is acclaimed for its innovation and patient-centered care. 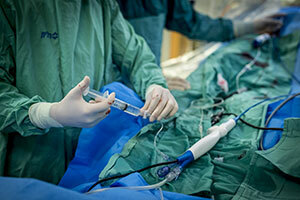 It has become a global leader in cutting-edge cardiology technologies and procedures. 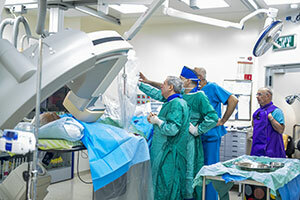 The cardiac service provides vast diagnostic and treatment services including noninvasive medical examinations such as echocardiogram, heart perfusion scans, and electrophysiological examinations as well as surgical procedures such as pacemaker and heart catheter transplants, defibrillators, ablations and complex comprehensive heart surgery. The professional cardiac service team performs all procedures and surgeries by using the finest and most innovative methods available. This approach guarantees that the patient receives high standard and ideal medical care. The cardiac service also provides additional convalescence and rehabilitation services as required such as: physiotherapy — heart rehabilitation, psychological support, and professional nutritionist guidance.